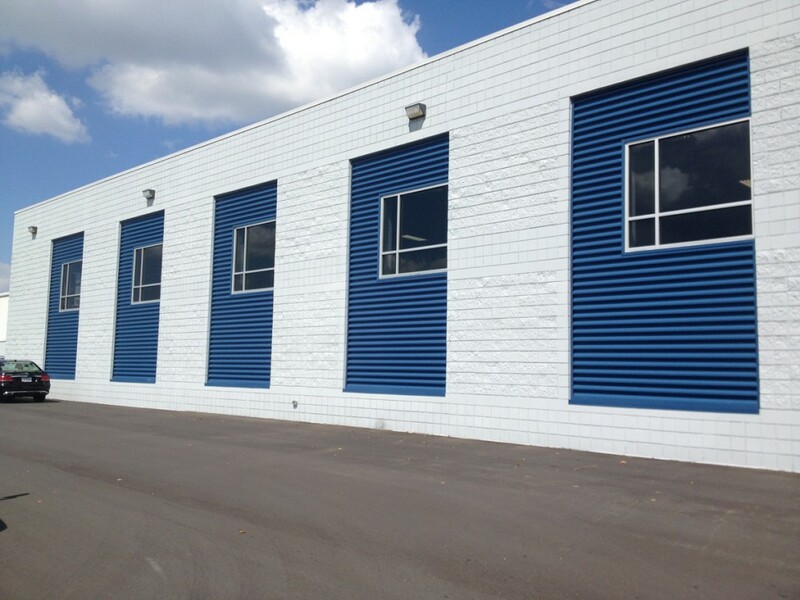 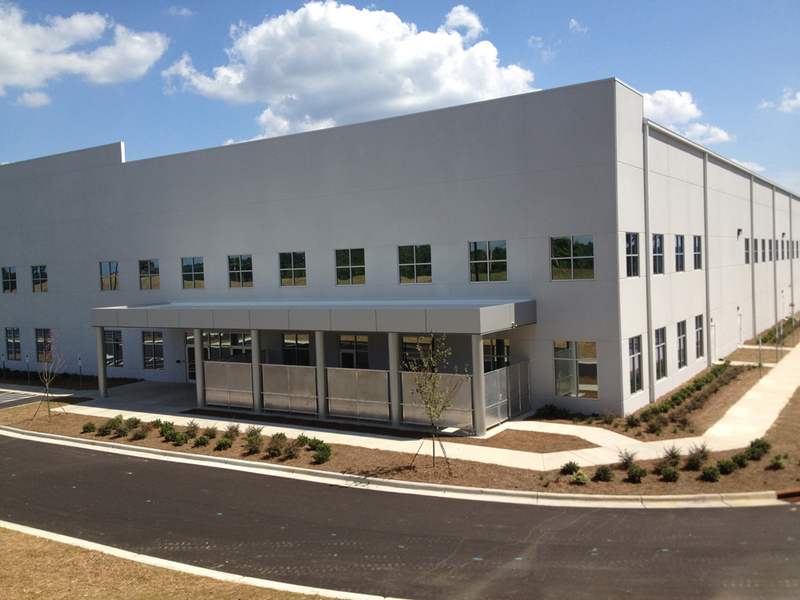 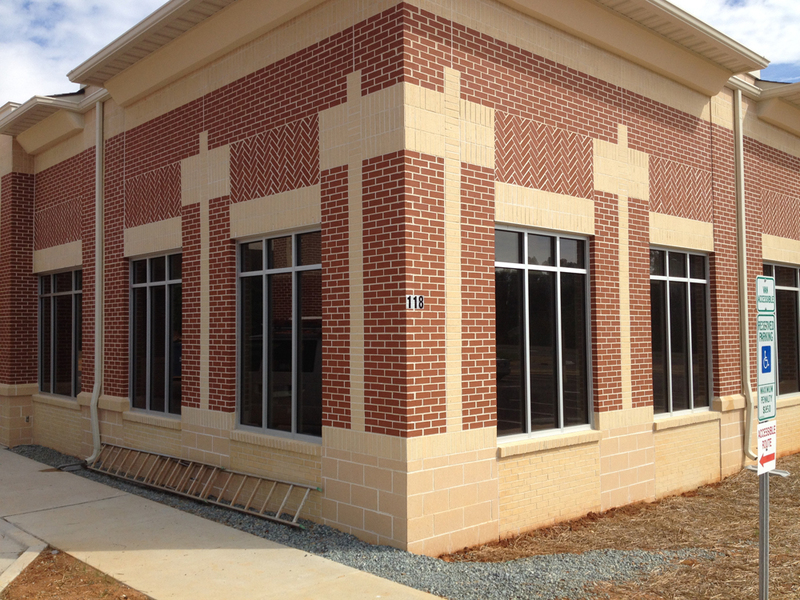 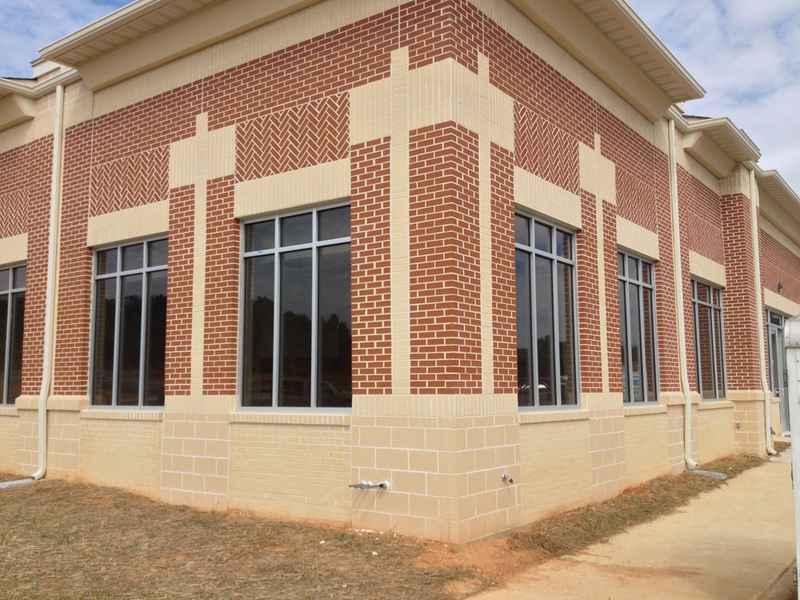 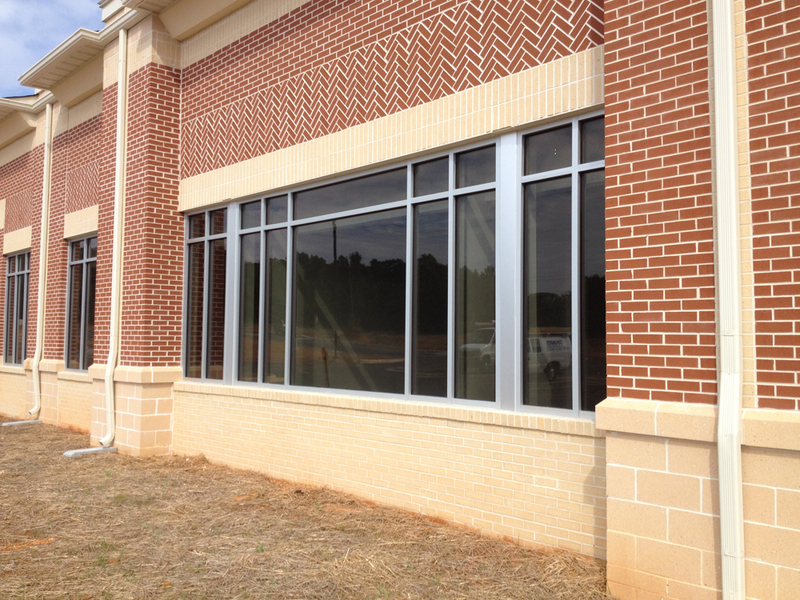 Description: Clear, anodized, thermally broken aluminum storefront windows with high performance low-e insulated glass installed into precast wall system. 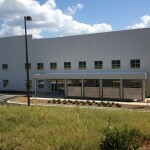 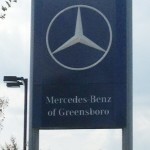 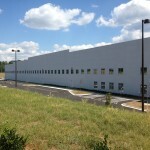 Completed spring of 2012. 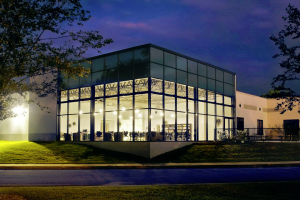 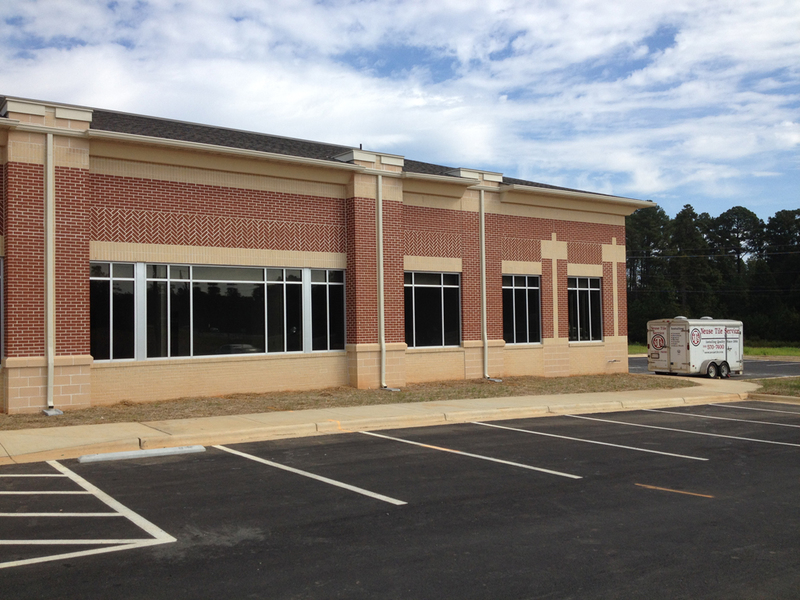 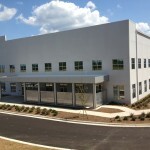 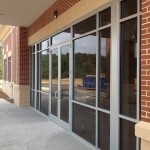 Description: Clear anodized thermally broken aluminum storefront framing with tinted low-e glazing. 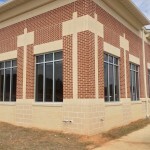 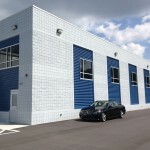 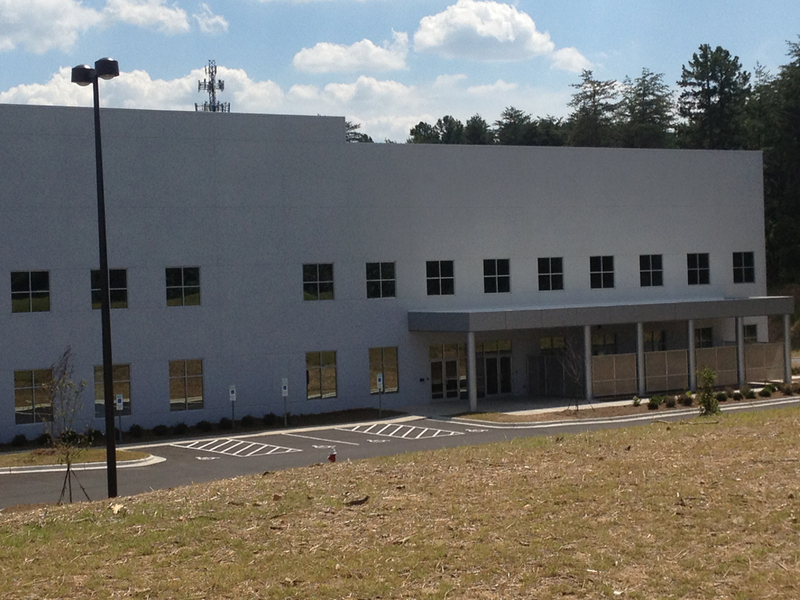 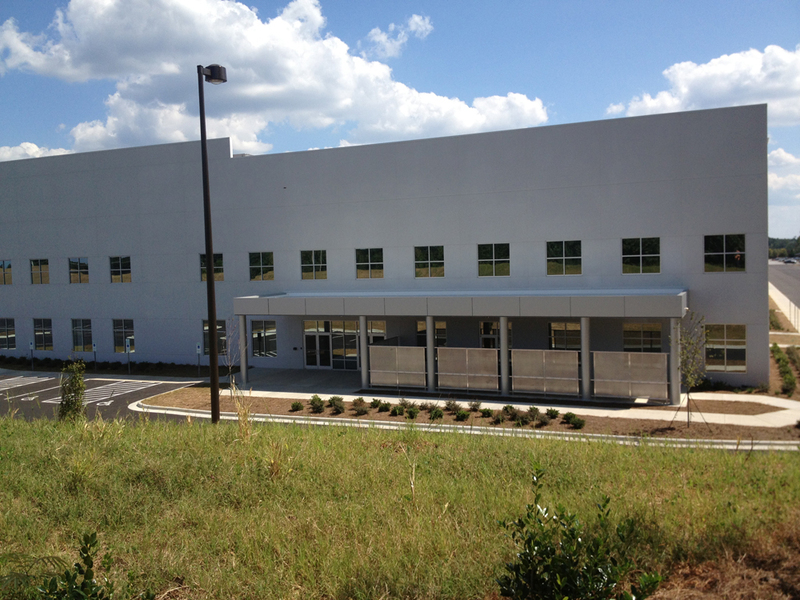 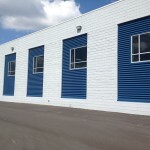 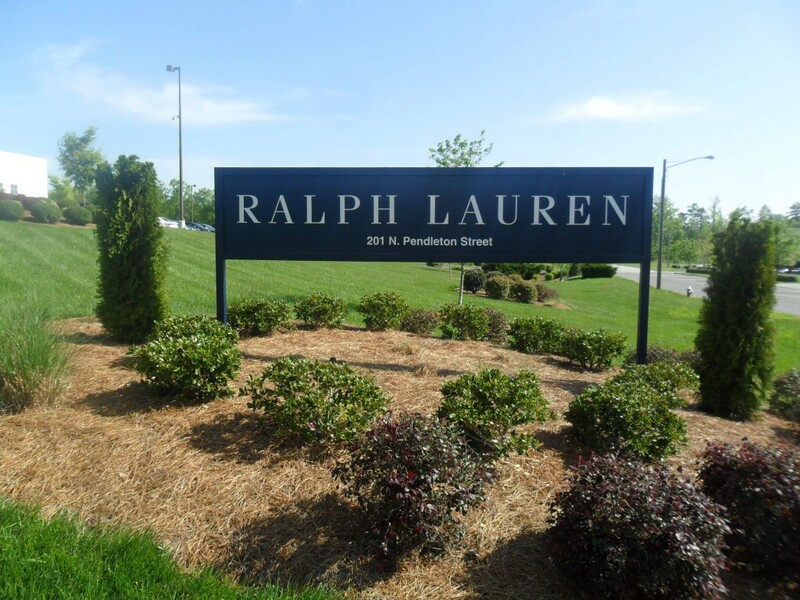 This project was a fast track total remodel that required special attention to schedule and coordination with contractor. 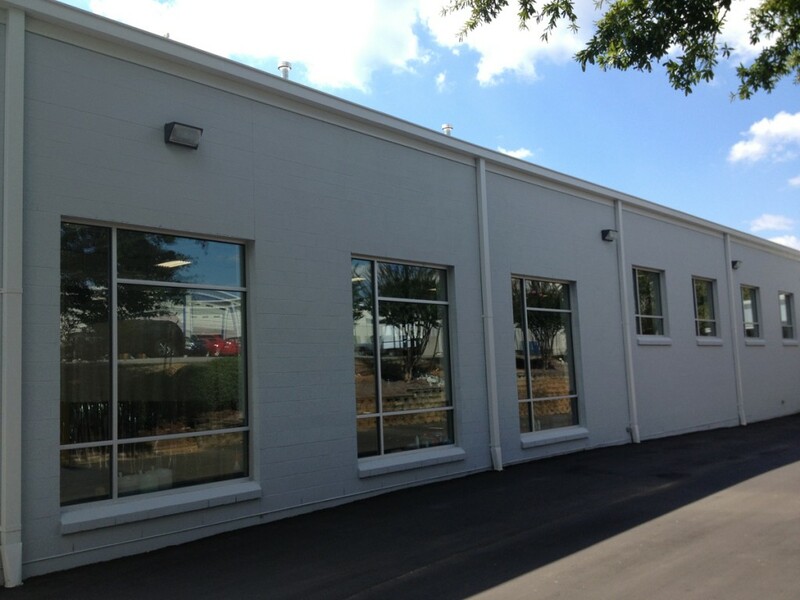 Completed summer 2013. 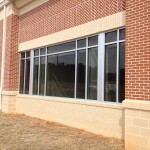 Description: Clear anodized thermally broken aluminum storefront windows with a combination of tinted low-e and clear low-e glazing. 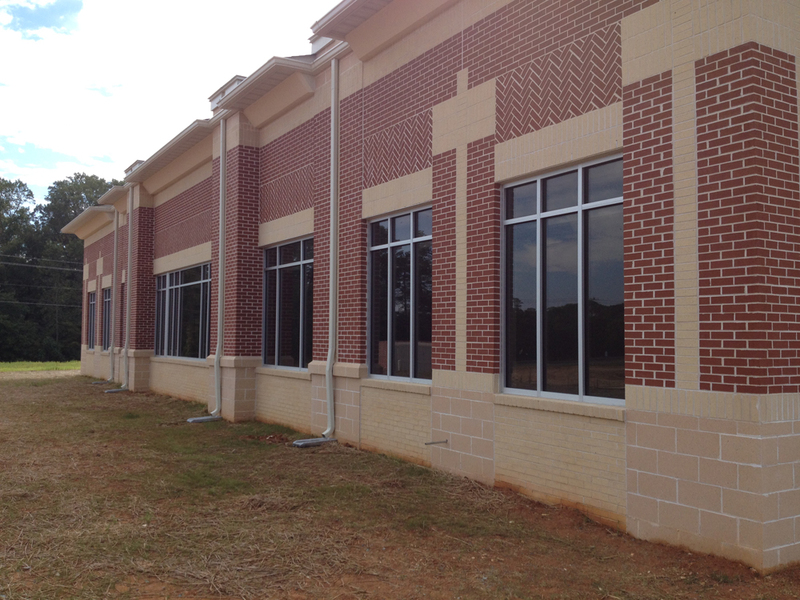 Project completed early spring 2013. 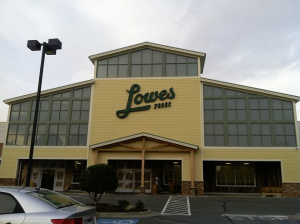 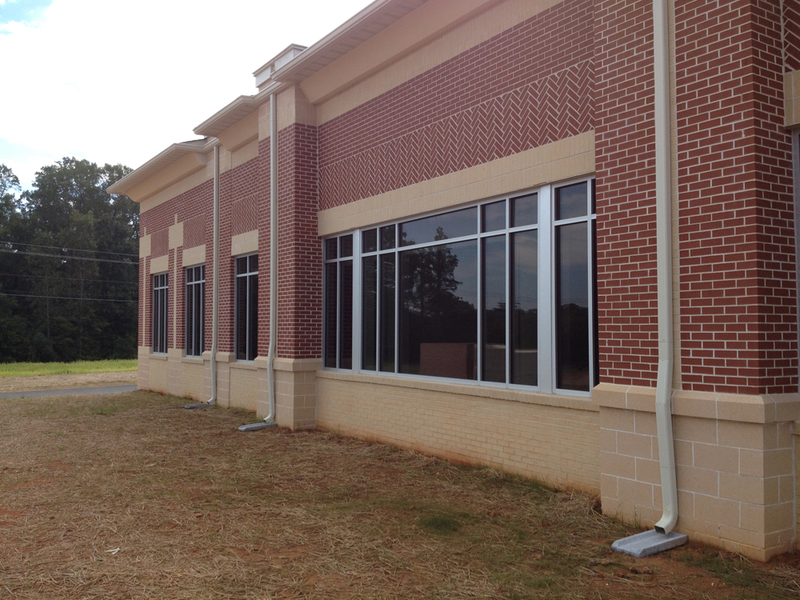 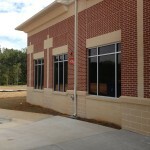 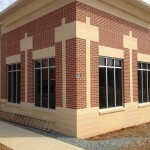 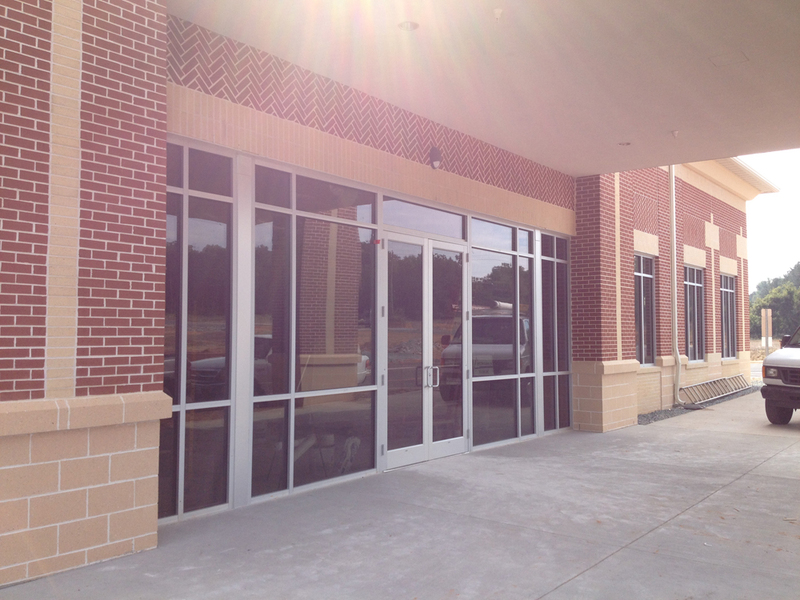 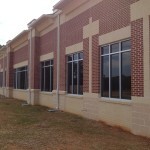 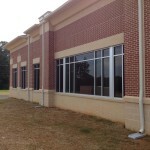 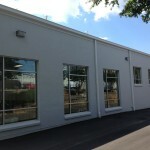 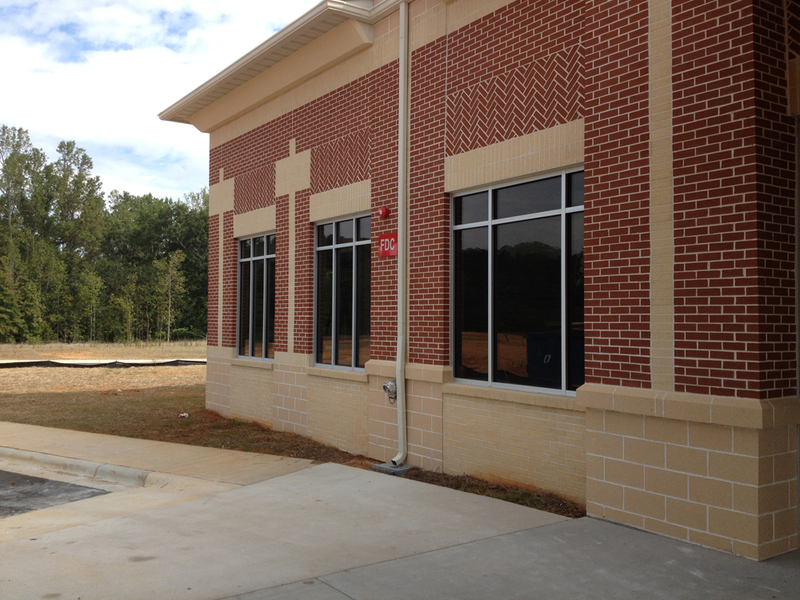 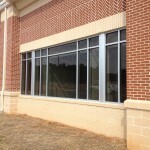 Description: Clear anodized thermally broken aluminum storefront windows with tinted low-e glazing. 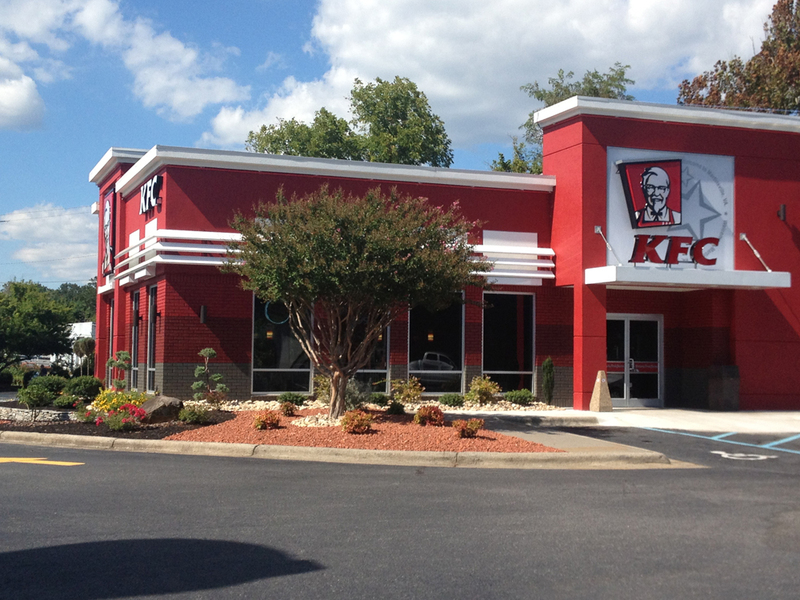 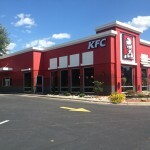 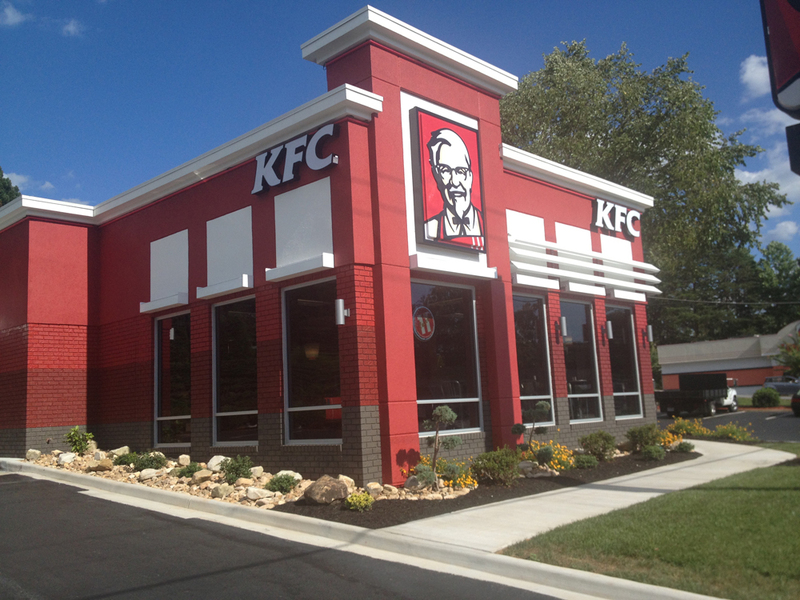 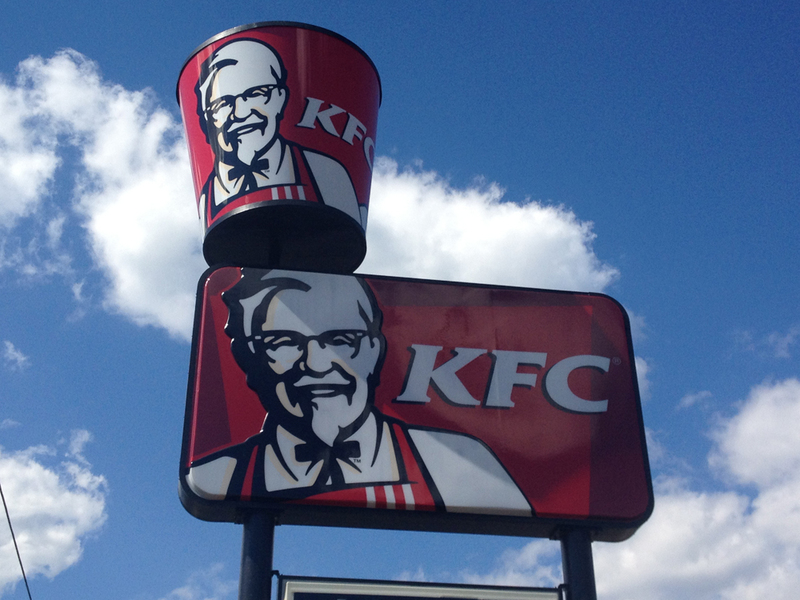 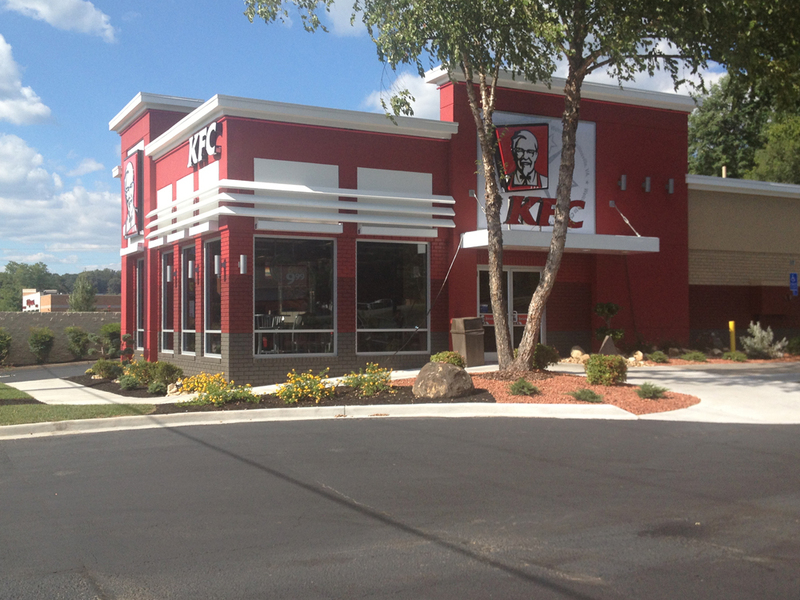 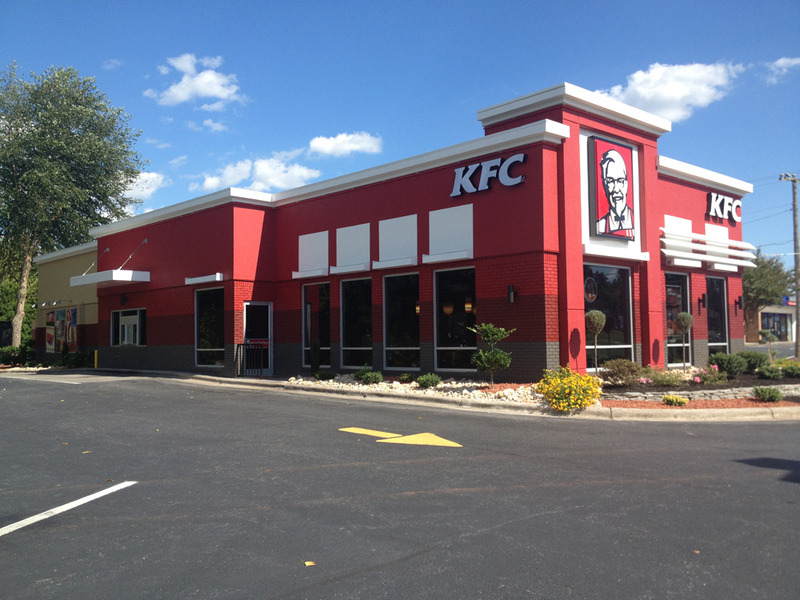 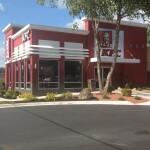 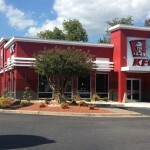 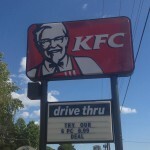 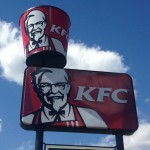 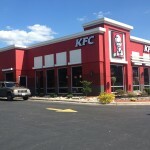 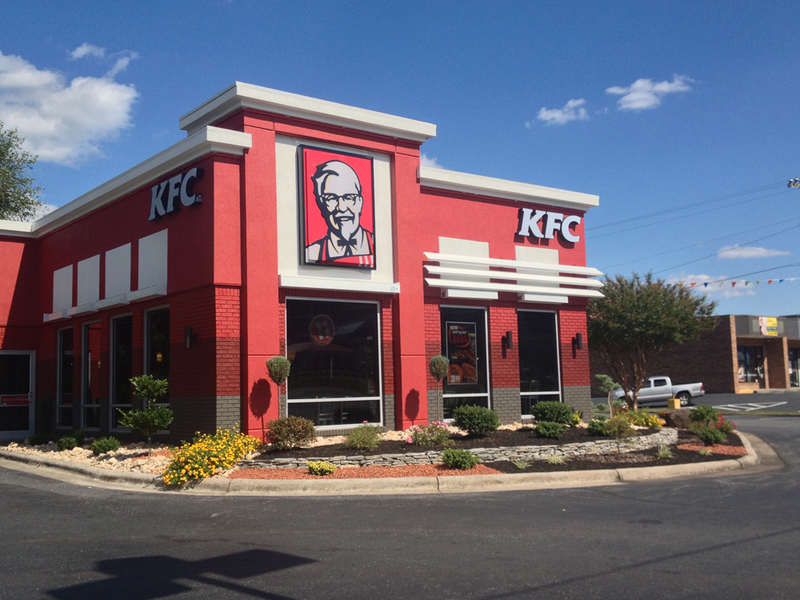 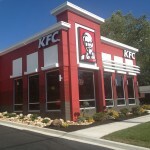 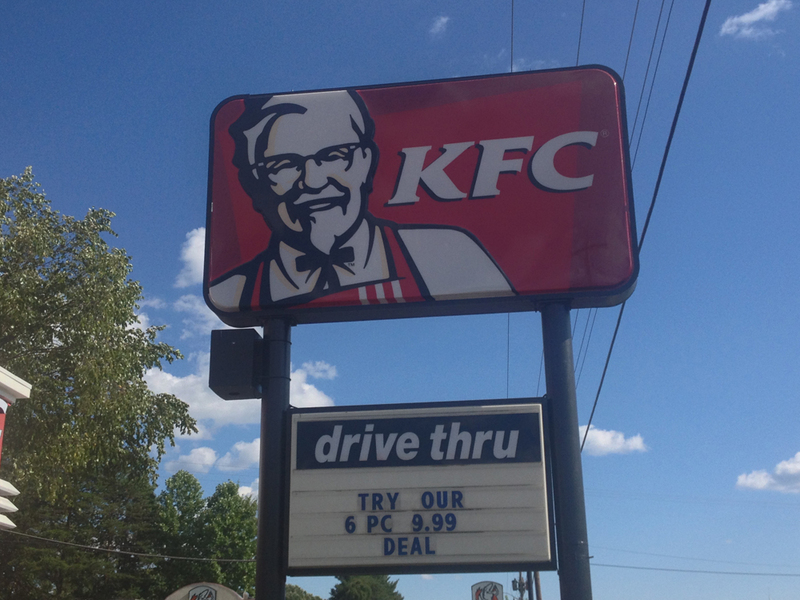 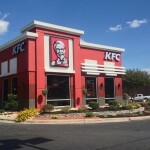 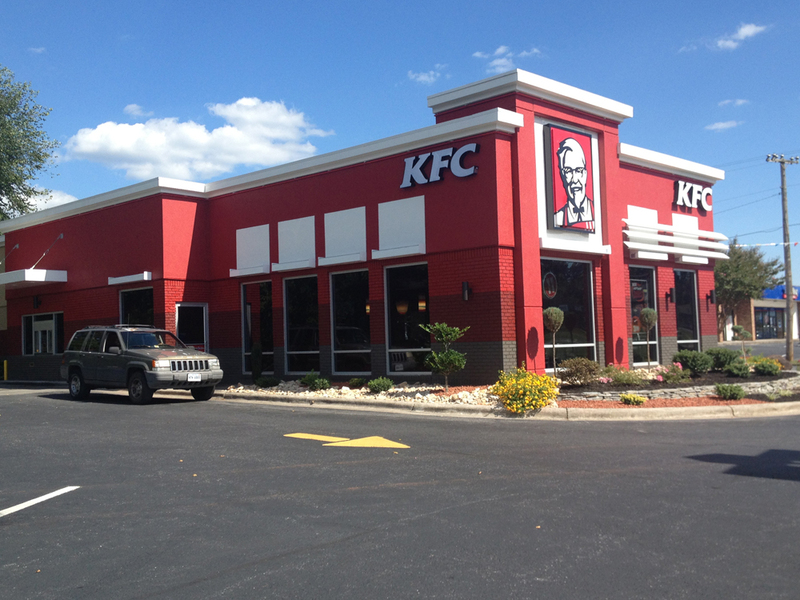 This project was a total remodel of KFC while the facility remained open and required extra attention to schedule and coordination with general contractor. 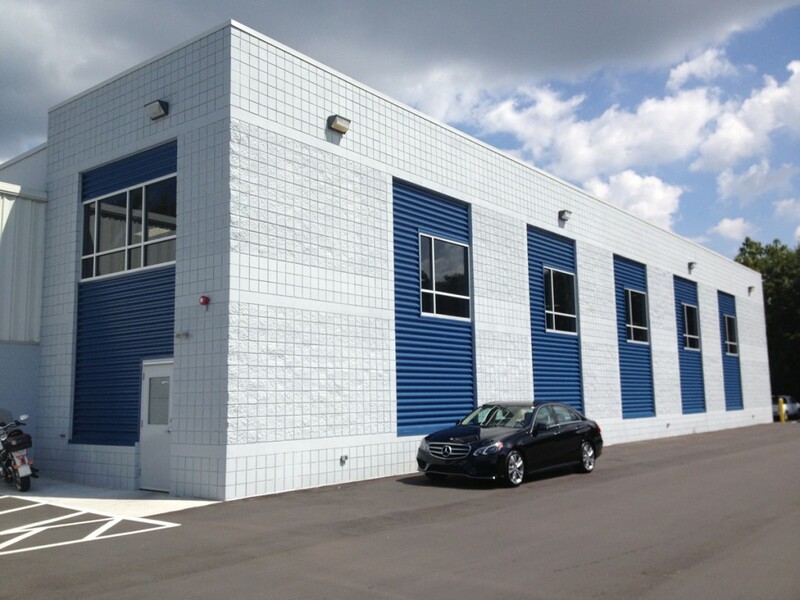 Completed summer 2013. 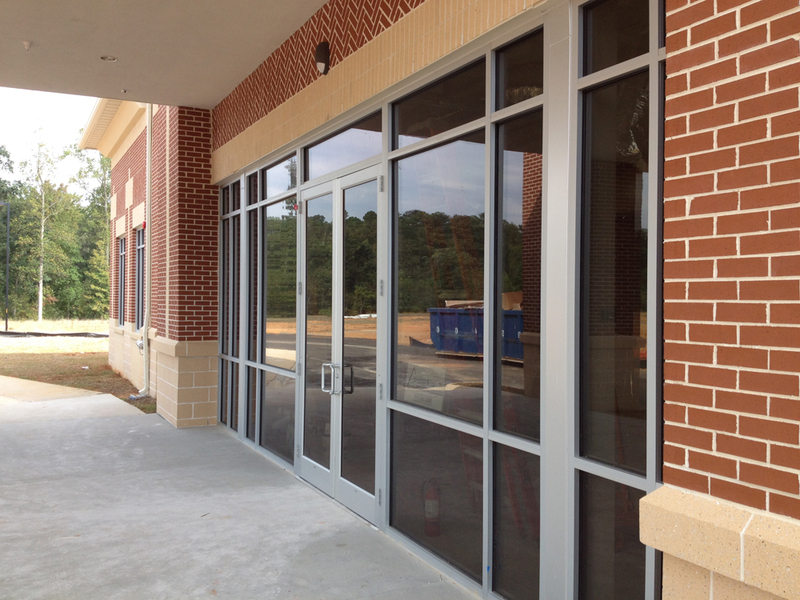 Description: For this medical center, we installed clear anodized thermally broken aluminum storefront with tinted low-e glass and custom oversized entrance doors. 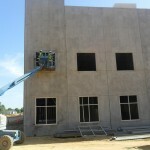 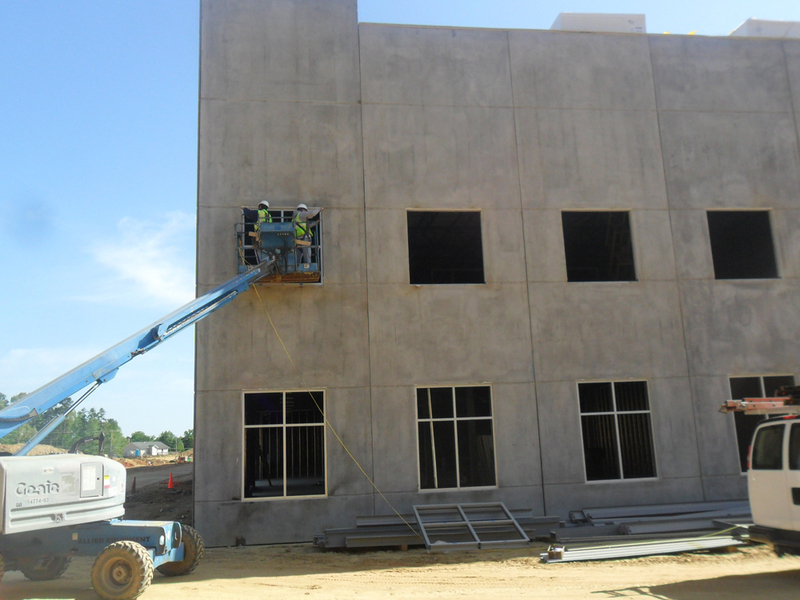 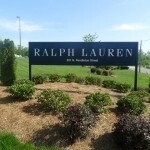 The project had a very tight schedule when we were contracted to complete it and met that deadline without issue. 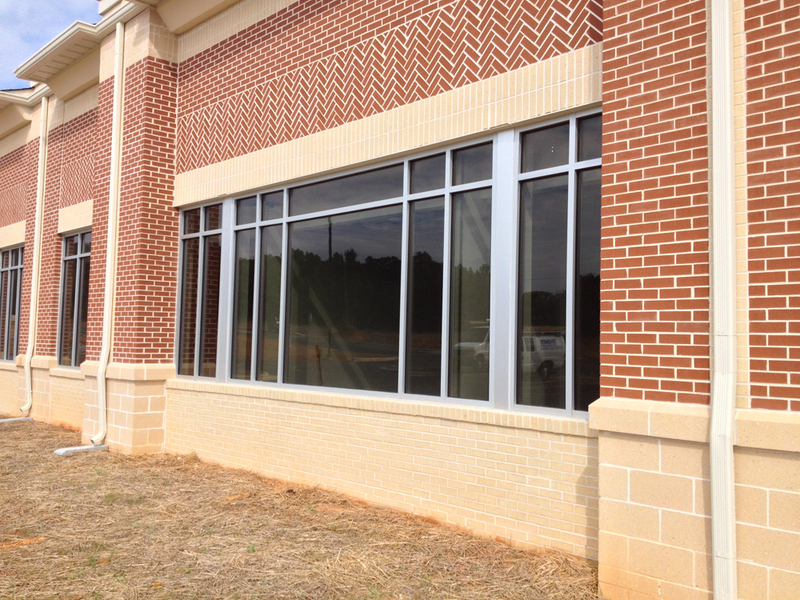 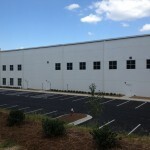 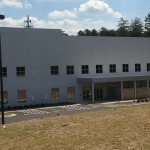 Description: We installed EFCO 2 ½” x 7 ¼” Bronze Anodized Curtain Wall System full height of building using High Performance Green Tinted Low-e Glass and Green Spandrel Glazing. 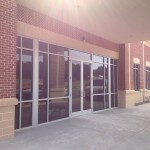 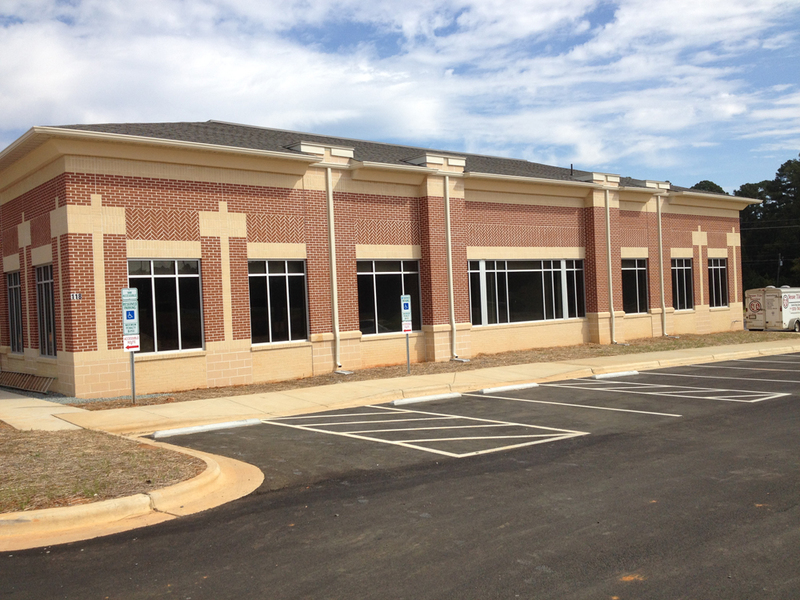 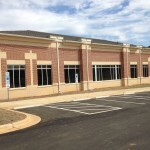 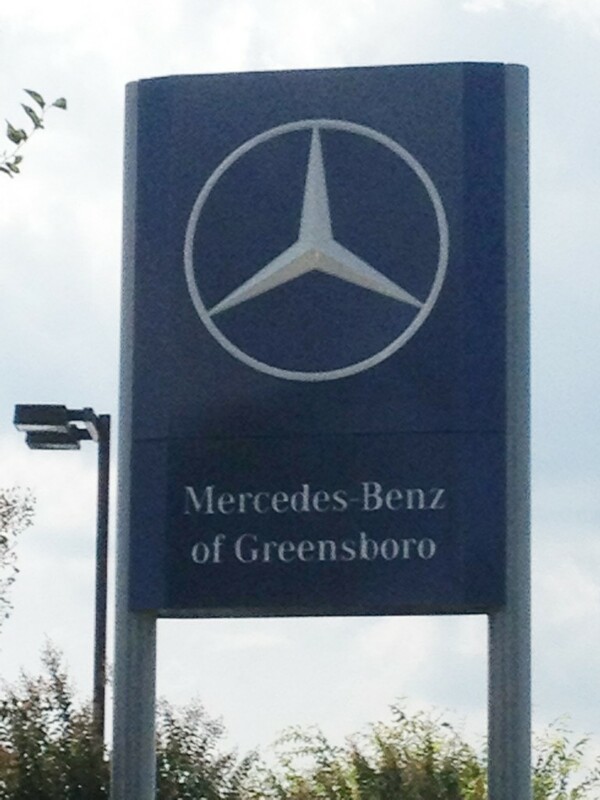 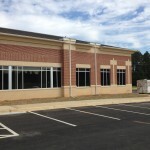 Description: We installed a custom color painted green storefront framing with white frosted laminated glass.